Douglas Corrigan was an American pilot who after a transcontinental flight from Long Beach, California to New York then flew from New York to Ireland, although his flight plan was filed to return to Long Beach. This earned him the nickname “Wrong Way” Corrigan. 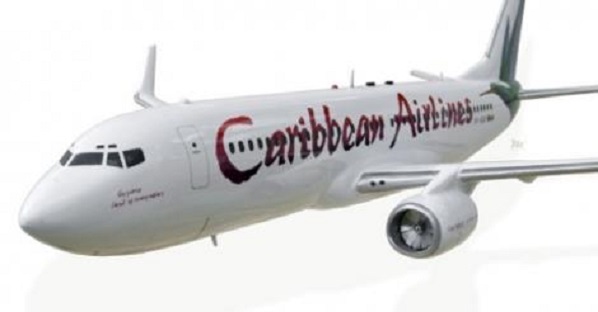 If I had a nickname for any of the pilots of Caribbean Airlines (CAL) who “sicked out” a few days (Tuesday July 1) ago and left passengers stranded in many different airports throughout the region and wherever else the airline flies, it will be “Wrong Way”. If they have a point to make, and I have always been skeptical about any points that the airline’s pilots have tried to make since the airline was BWIA, there are other and more acceptable, responsible and legitimate ways than pretending to be sick. This is the wrong way to deal with industrial and other disputes. In fact, the behaviour of the pilots justifies the riddle, “What’s the difference between a jet engine and a pilot?” At the end of the flight the jet engine stops whining. In the old days of BWIA the pilots were God and behaved as if they owned the airline. I remember coming back to London from a trip to New Delhi on a first class ticket paid for by my employer. When I arrived in London sick with “Delhi belly” and extremely anxious to reach home I was told that I was dumped and bumped from the flight. It turned out that the pilot wanted his wife and children to travel and they were allocated seats that had already been paid for by passengers. When I travel American I am pleased to see pilots and flight attendants in full uniform sitting in coach. I never saw, and have never seen, a BWIA or Caribbean Airlines pilot, official or director (and flight attendants for that matter) sitting anywhere but first class even though the airline has always run at a loss. One of the measures I would put in place were I running the airline is to upgrade frequent fliers in the event that first class is not fully booked and put my employees, directors and other free-loaders in the cabin. Unfortunately Trinidad is an environment which supports anyone who does not want to work and provides a mechanism, ploy, local invention, innovation or labour leader who will allow them to get away with the most transparent excuses and flagrant abuses. I suppose we should take our cue from the fact that in addition to more de facto public or bank holidays than anywhere else, in Trinidad we find the supreme irony of “Labour Day” being a holiday. Trinidad, where I am now temporarily based, is where the “sickout” was invented no doubt by a sick mind, someone who saw the loophole in the law which allows you to claim to be sick, stay home, go out, party, work off your hangover and still get paid for it. That example should be replaced by one on pilots who keep passengers stranded. If what they want is a golden parachute I would give it to them and then drop them from a jet into the Amazon jungle. The first major Trinidad sickout I experienced was on the day the West Indies played its first One Day International against Australia at the Queen’s Park Oval. There was so much excitement and expectation that the staff of the Holiday Inn, the hotel where most of the people who came in to watch the match were staying, went on a “sickout” so they could watch the match too. I am not sure how many people remember the Aesop fable of the goose that laid the golden egg. A man and his wife owned a very special goose. Every day the goose would lay a golden egg, which made the couple very rich. They figured if they killed the goose they would get their hands on all the gold at once instead of one a day. The couple killed the goose and found that she had no golden eggs inside of her at all. Their greed had done for them. If there was a golden goose around the Holiday Inn that day, the Chef would have cooked it, put it in a rice and peas, and served it at the Oval without a care, remorse or any misgivings about losing a source of consistent wealth. If ever such a goose ever found its way in the hands of CAL’s pilots its goose too would be cooked. The loss of revenue or passengers, the pain and discomfort they inflicted on Caribbean and other people, means nothing to the pilots. In fact, I believe it is not coincidental that the sickout happened during the World Cup. There was a lot of unjustified optimism about the chances of the United States team and the fact that it was playing that day may have been the key factor in deciding to have a sickout despite the lack of support from the Union leadership. If I were CAL, I would force every pilot to go for a medical test but not just a routine one. I would first send them to an ophthalmologist or any eye doctor. I bet my last dollar that every man-jack of them would be found to be totally shortsighted and the first major manifestation of their incurable myopia was the sickout. Just when the airline seems to be turning around is when they have chosen to deliberately destroy the little credibility and squander the few dollars it earned in the past few months. The reason is they know that whether the airline earns profits or not, in these pre-election days the Government will settle very quickly and pay up. In other words, even if they cut off their noses to spoil their faces, they would be easily able to afford plastic surgery. *Tony Deyal was last seen saying that every pilot who was on sickout should also be made to take a dope test. I am sure every one of them would test positive for being a total dope. Its not pilots alone that need to be tested. Examine the Manager in Kingston, Jamaica on Thursday 3 July 2014 who sends a delayed CAL plane to Fort lauderdale without checking to ensure that Immigration and Customs will be working late for International Flights. The plane had to turn around during the flight when some bright spark realised that both had already closed.